Central Coast Wines and the term excellence are synonymous. The Central Coast of California creates premium fine wines which tantalizes taste buds, wins awards and provides millions of visitors each year with a sense of awe and wonder. Almost everyone has an opinion about wine. If you talk to ten wine connoisseurs you will have ten different opinions about the consistence of great wine. 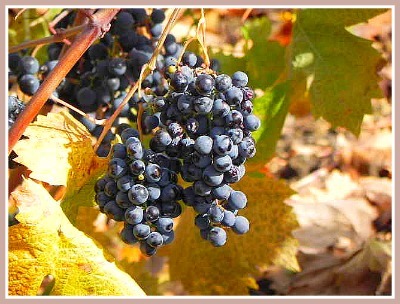 Many people prefer a specific type of wine grown from a specific grape in a specific part of the country. Our goal is to provide information not opinions. Our primary aspiration is to guide and direct you towards a spectacular adventure in wine country. We want you to have a great time on your visit to Central Coast Wine Country. Our plan is to provide you with maps and some general information on wine tasting, tours and vineyards. We will constantly be adding to this information so stay in touch by monitoring our blog. We are going to list cities and towns on the Central Coast and give you as much information about wine tasting, wine shops and wineries as we can. We hope you find what you are looking for. If we can help please contact us. Cambria, California offers wine tasting in the East and West Villages. 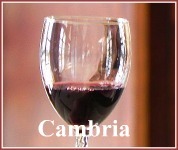 For information and locations of wine tasting in Cambria just click on the image to the left. Central Coast Wines are the wines in the world. The California Wine Advisory will be more than glad to help you find the wine you are looking for in San Luis Obispo, California. Click on the image and it will take you to valuable information on wine tasting and vineyards in SLO. Wine Country, Paso Robles, California. It is not hard to find wine tasting or vineyards in the Paso area. All you have to do is keep your eyes open and you will find a great place to taste and buy wine. But, if you would like a map just click on the image. Pismo Beach, Shell Beach and the five cities areas offers great adventures in the area of wine tasting. If you would like a complete list of wine tasting shops just be sure to click on the image on the left. Wine tasting is a great way to spend an afternoon on the Central Coast. The Morro Bay wine adventure will take you into the great world of fine wine and in some cases offers the best views of the Morro Bay rock. 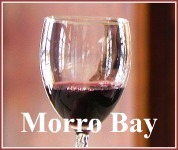 If interested in Morro Bay wine tasting just click on the image for the adventure of a life time. Don't drink and drive. Cayucos, California the coolest little town in America offers some great places to spend a few hours sipping wine. If you like sunsets, romance and wine then you need to click on the link and find out where you can taste wine in Cayucos. Big Sur, California has more than views, hunting and camping. It offers some of the best wine tasting shops on the Central Coast. Make sure to click on the image for information about wine and Big Sur. The Central Coast of California is famous for its wine, vineyards and wine tasting. Central Coast Travel Adventures is going to update this page on a regular basis so please stay tuned to find out more about Central Coast Wines. We are going to supply you with valuable information involving wine. We will cover different topics which will help you enjoy the central coast wine county to the fullest. If you would like more information on wine tasting in areas such as Monterey and other central coast locations, click on central coast wine tasting.